Studies have shown that like people, dog health is dependent on their diet. There have been controversies during the past decade where dog food manufacturers recalled their products due to bad manufacturing practices. For every pet owner, choosing the best dog foods can be disorienting. There are more than 3,000 different brands of dog food, and even listing the top 100 may not do justice to the dog. Each dog may have its own preference, however, the owner can choose which brand to buy. The basic composition, especially the ingredients and what labelling to avoid can serve as a guide to buying dog food. 1. The main ingredient should be a whole protein. The main ingredient on any label is usually the first one listed. This should be a whole protein ingredient like chicken, venison, fish, beef, duck, liver or eggs. Stay away from brands which mentioned unspecified proteins (e.g. “meat”, “meat meal” or “by-products”). Additionally, do not buy products which are labeled as having “rendered meat” or “dry rendered tankage.” These unspecified proteins could literally be anything including rats, roadkill, or even spoiled meat from the supermarket. 2. Whole grains like oats and quinoa are good for the dog’s diet. 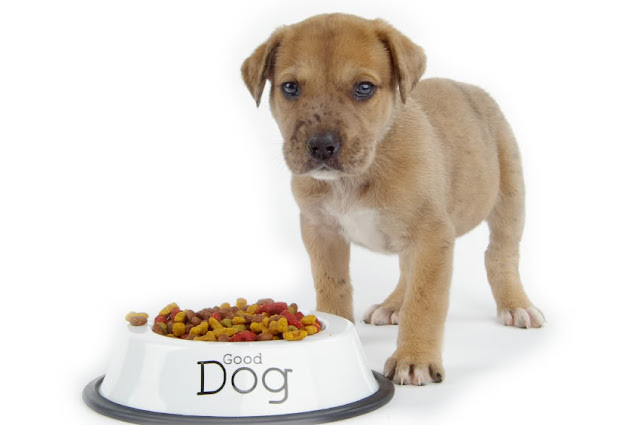 Some dog foods contain unhealthy grain or fillers like corn, wheat soy and beet pulp. If the first ingredient listed is corn, that should be a red flag and you should stay away from that product. 3. Look for bonus healthy ingredients. Dog food manufacturers, veterinarians and food formulators have only recently realized that adding micronutrients and fatty acids greatly contribute to a dog’s health. These include omega-6 and omega-3 fatty acids, glucosamine, and chondroitin. Dogs also need a healthy dose of Vitamins C and E.
These include naming conventions which really mean something. “Certified organic,” for instance means exactly that: they have a certification to prove it. Going back to the example above, “rendered meat” may mean anything. In the same manner, stay away from dog food with ingredients coming from China or Thailand, or any other country where there are loose regulations. 5. Good fruits and vegetables. Peas, sweet potatoes and carrots are good for dogs. On the other hand, dog foods with onions, garlic, grapes and avocados should be avoided. If these ingredients are not properly processed, it may still contain persin, a toxin which can be harmful to pets. The above should be considered as basic considerations when buying dog food. There would be instances where the owner would choose between dry, wet, dehydrated, and raw food. The owner might even go to the extents of preparing a home made meal for the dog. These types of food have their own pros and cons. Dogs have different nutrient requirements from humans, and that not all dog food are created alike. Considering these and the above guide, the pet dog should be able to enjoy a healthy well-rounded diet.